I believe if three or four people were chosen as the most responsible for Ford Motor Company's success, James Couzens would be one of them. From day one he ran the financial side of Ford, initially responsible for controlling day to day business, sales and generally making the financial end work. I think his compensation year by year support this perception. 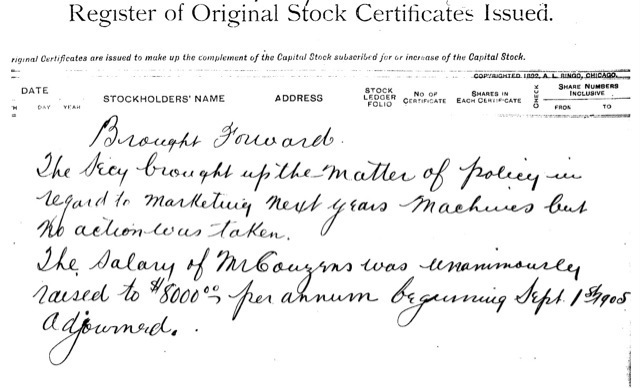 For 1907, Mr. Couzens requested a "bonus" on each car sold, in addition to a salary increase. The Board of Directors agreed, upping his salary to $10,000 and a commission on each car sold to 90 cents for runabouts and three dollars per Model K. I doubt the board suspected Ford Motor Company would become the largest producer of cars in the world beginning the same year. Also, Ford Motor Company purchased Ford Manufacturing Company, and Couzens received seven percent of the sale price for his share of the company. 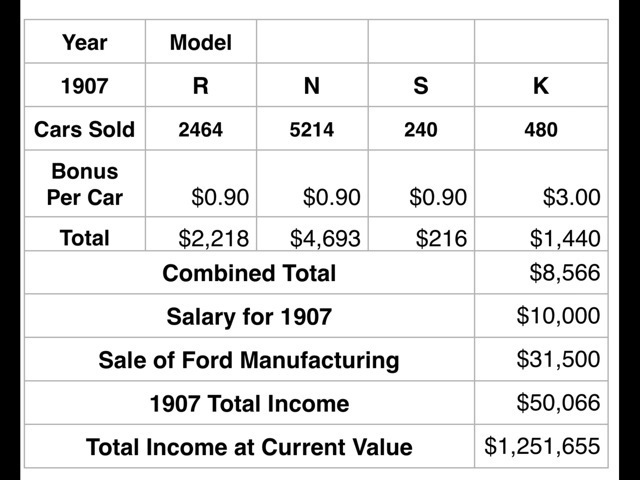 These figures do not include dividends received by Mr. Couzens from both Ford Manufacturing and Ford Motor Companies. And it was before there was a national or state income tax! As I under stand, Cousins was also responsible for setting up the dealer network that made Ford a success. I may be wrong in that. Steven, yes, I believe James Couzens was in charge of the early dealer network. Ford also quickly developed branch stores that were both retail and dealer support centers. Couzens also spent a portion of 1907 touring Europe with Ford foreign agent R. m. Lockwood, coordinating future sales throughout Europe. During this time (1907-1908) Ford hired it's independent auditor, Norval Hawkens, who took over management of sales. I believe this set the stage for the future Model T network that was necessary to eventually distribute so many Model Ts to the public. A great book, available online, "Independent Man" by Harry Barnard, touches on many of the people that were involved in the early Ford days. The author talks about the relationships between A. y. Malcomson, the Dodge brothers, Couzens and many other individuals who played key roles in the success of Ford Motor Company. The book also goes into the special relationship between Henry Ford and James Couzens that I believe was so important to the early success of the company. WOW! My life is true to the history of Model T's! Just like Mr. Couzens did in 1905 my salary this year was $4,000 too! 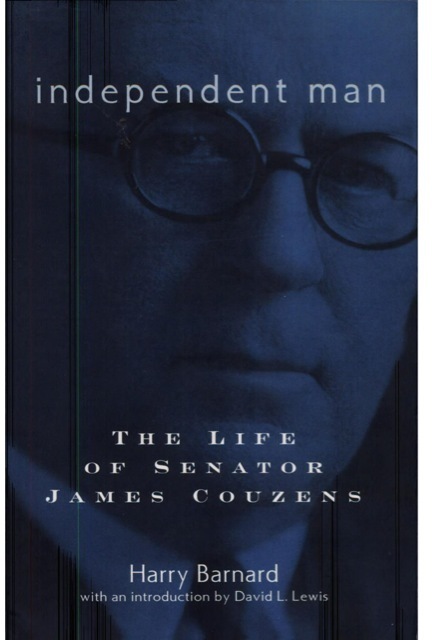 Dennis: you are still not on par since at the time Mr. Couzens received $4,000 per annum there was no income Tax! The origin of the income tax on individuals is generally cited as the passage of the 16th Amendment, passed by Congress on July 2, 1909, and ratified February 3, 1913; however, its history actually goes back even further. During the Civil War Congress passed the Revenue Act of 1861 which included a tax on personal incomes to help pay war expenses. The tax was repealed ten years later. However, in 1894 Congress enacted a flat rate Federal income tax, which was ruled unconstitutional the following year by the U.S. Supreme Court because it was a direct tax not apportioned according to the population of each state. The 16th amendment, ratified in 1913, removed this objection by allowing the Federal government to tax the income of individuals without regard to the population of each State. I had to put that in here because as model T owners we are expected to know such things.